Hydrangeas are known for their old fashion charm with their large mop-type blooms. Unfortunately, traditional hydrangeas often underperform. Because they bloom only on last year’s growth, and they often suffer freeze damage, it was common to not have any blooms at all. Too often hydrangeas leave us only with the hope of next year. Fortunately, the world of hydrangeas was forever changed with the introduction of the Endless Summer Hydrangea in 2004 from Bailey Nurseries with the help of Dr. Michael Dirr from the University of Georgia. Dirr was doing some consulting with Bailey, known for introducing new plants, in the 90s when he noticed a hydrangea that was blooming in mid-summer. Bailey had been propagating and testing the hydrangea for about 10 years. It was unique because it bloomed in the spring on last year’s growth and rebloomed on the new growth during the summer. Dirr immediately knew it was a game changer for hydrangeas and quickly coined the name ‘Endless Summer’. Blushing Bride - pure white blooms that mature to a pink blush. Twist-n-Shout — reblooming lace-cap in pink or periwinkle blue with red stems. Bloom Struck — purple or rose-pink flowers with red stems. Summer Crush — a 2019 introduction with raspberry red or neon purple flowers with a compact growth. Oakleaf – Instead of traditional mophead blooms, oakleaf hydrangeas have white clusters of cone shaped flowers. It is named for the large oak like leaves that turn reddish-purple in the fall. It is a large shrub that blooms in the summer on new growth. It also requires less water than a traditional hydrangea. 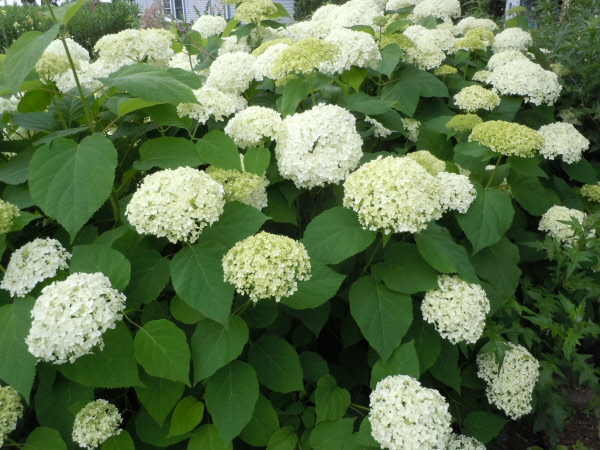 Annabelle – A smooth hydrangea with white blooms on the new growth. Because it is fast growing, it is common for this hydrangea to be cut all the way to the ground each spring. Limelight – Blooms in mid to late summer on new growth. Flowers start green, turn to white and then back to green. 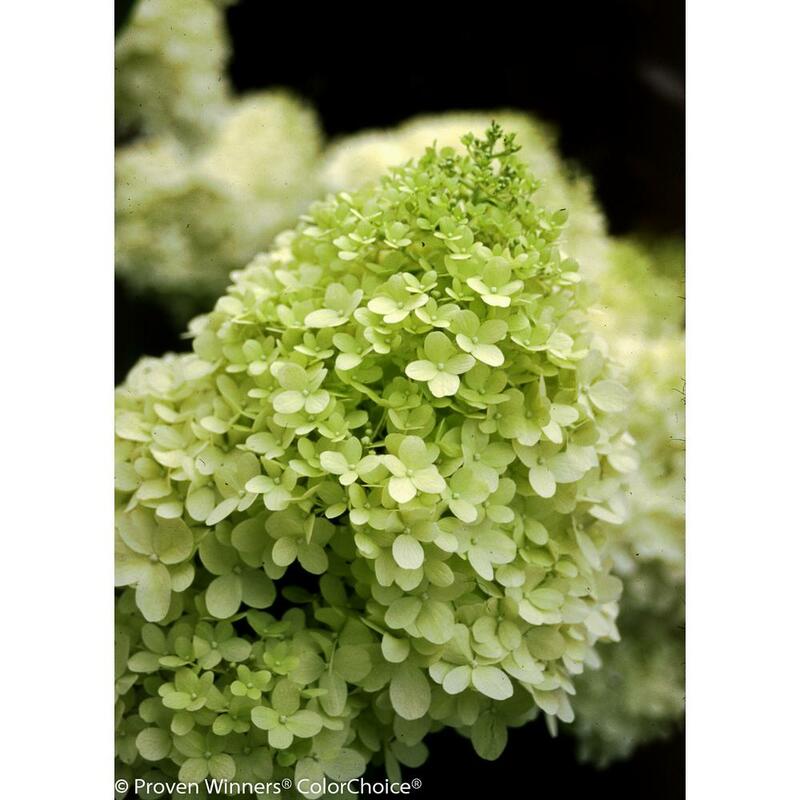 Seaside Serenade Series by Monrovia – A more compact form of hydrangea ideal for smaller areas that blooms on both last year’s growth and new growth. To see all the varieties in the Seaside Serenade series, visit Monrovia.com. Planting – Hydrangeas prefer rich, well drained soil in a location with morning sun and dappled to full shade in the afternoon and evening. When planting in our tighter clay soil, start with a hole twice as big as the plant container. Incorporate compost and peat moss into the existing soil, fill the bottom of the hole with enough soil that the root ball will be slightly above the existing grade. Backfill around the root ball with the remaining mix of soil and amendments creating a ring out side the root ball creating area to retain moisture when watering. Watering – Hydrangeas require more water in the heat of the summer. They perform best in soil that retains some moisture but does not stay wet. It is common for their leaves to wilt slightly on 90+ degree days and then rebound quickly when water. A good deep soaking every other day in the summer is enough. A two inch layer of mulch will help retain moisture. Pruning – Hydrangeas don’t require much pruning. In the spring, wait until the dormant branches start to bud. Prune any dead wood just above the highest green bud. Spring is the only time you should prune a hydrangea. If you need to prune to reduce size, avoid doing so after the end of July. Leaving the last blooms on the plant protects buds over the winter. Flower Color – Excluding white hydrangeas, soil is the greatest determinate to whether the flower blooms will be blue or pink. Soil with a pH below 6.0 (acidic) will have blue blooms. pH above 6.0 (alkaline) will produce pink flowers. Adding lime to the soil will change blue blooms to pink and adding sulfur will change pink blooms to blue. Endless Summer has a formulated product called Color Me Pink which adds lime to the soil to produce pink blooms and Color Me Blue which adds sulfur to encourage blue blooms. Similar products are available from Bonide. 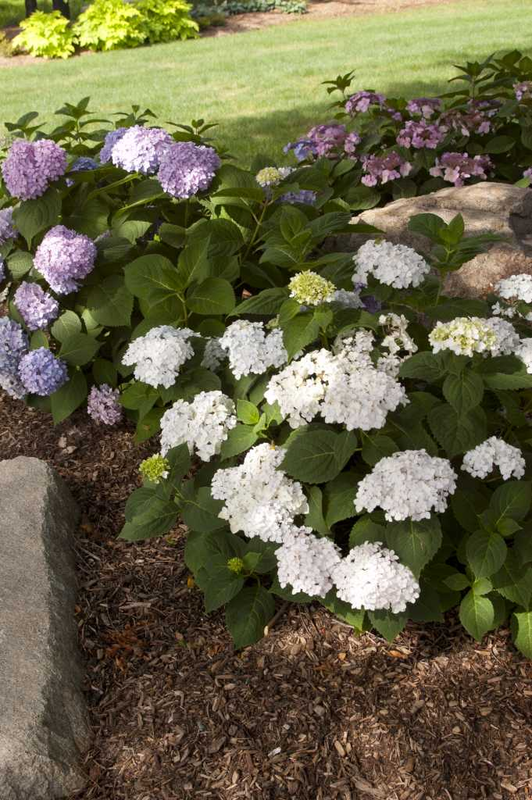 Fertilizer – Hydrangeas respond well to fertilizer in the spring and early summer. Select a slow release fertilizer that is high in phosphorus (the middle number on the fertilizer label). Phosphorus produces more blooms. If you fertilize with a high nitrogen, the first number on the label, you will have more and larger leaves and less blooms. 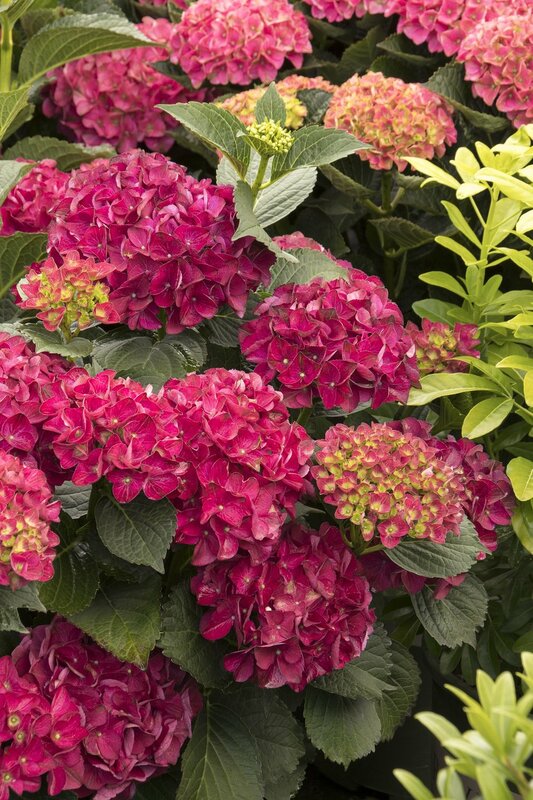 Hydrangeas require a little more work when planting, and a little more attention with water, but with the new reblooming varieties, and some of the older varieties that bloom on new growth, the color will be a great addition to your landscape.